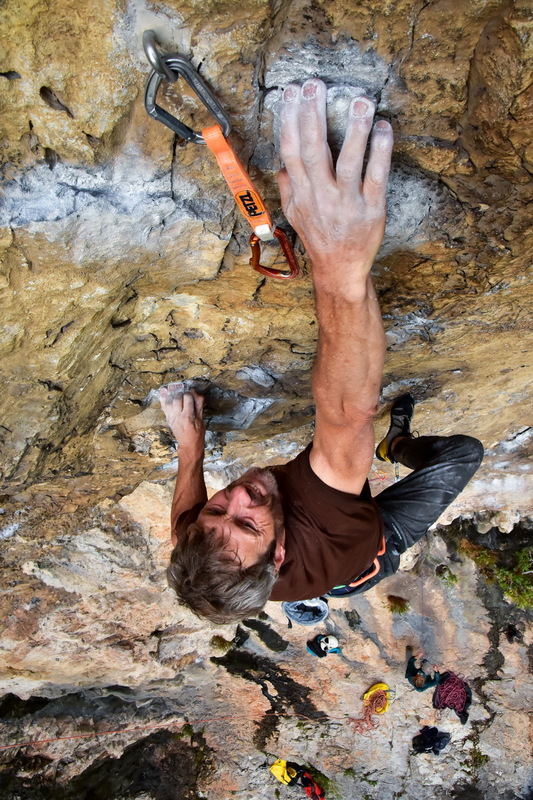 So there we were, and after a year of hard work and squeezing in as much training and climbing as possible, we had arrived at the Slovenian climbing mecca of Osp/Misja Pec. 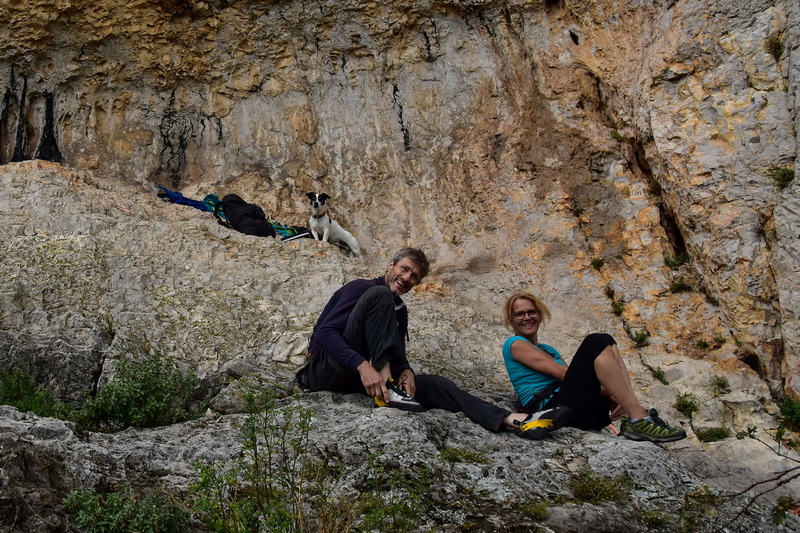 So that’s what we did: we climbed in Osp, Misja Pec and Crni Kal in Slovenia and Kamena Vrata, Kompanj, Buzetski Kanjon, Rovinj and Brsec in Kroatia. 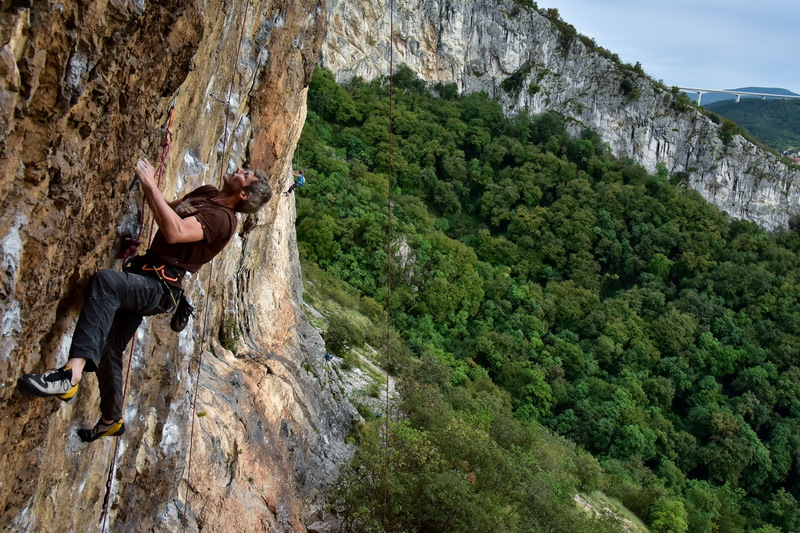 Oh, and some smaller crags near Trieste in Italy too. No time for longer projects, but we got on a staggering 60 different routes each. We can honestly say that we really improved our climbing and had a lot of fun in the process too, like all of us enjoying the celebrational homemade tiramisu after a particularly good day. We saw the sun after the rain, walked by moonlight (be prepared for a late start and even later finish on this course), had the scary approach, ate the handpicked mushrooms, thyme and berries and had a few beers and some wine too. To prove it all, there were some great pictures taken of us climbing, professional stuff worth hanging on the wall to remind you of why it is that you want to climb. 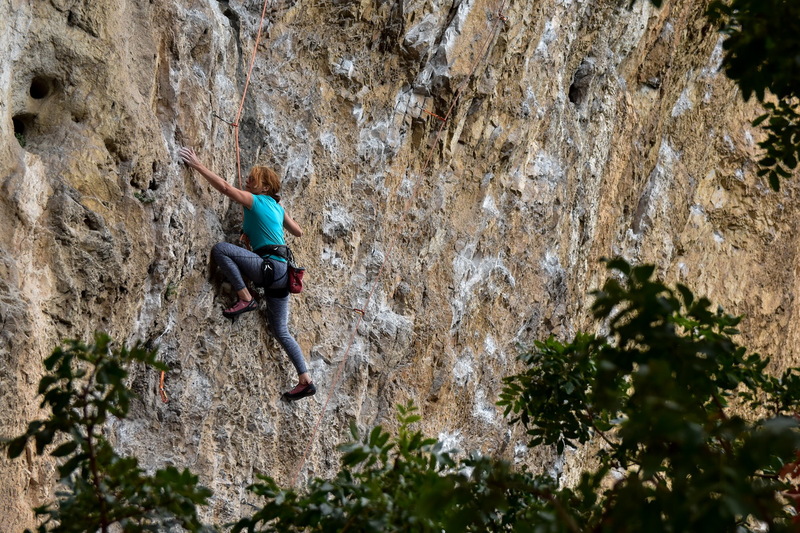 All in all, this was definitely a great climbing trip with some very knowledgeable and super-psyched coaches that reminded us to belief in our possibilities, regardless of all the ideas you or others may have about yourself, and keep improving at the sport you love: No Excuse!